Let’s wind things way back to the year 2000. “Y2K,” my friends. Raise your hand if you remember what a big deal it was… and what a big deal it wasn’t. I was a senior at Pine View High School (go Panthers!) in St. George, Utah. I filled up 28 CDs with hundreds of songs I downloaded for free on Napster. Those CDs, incidentally, are still around! 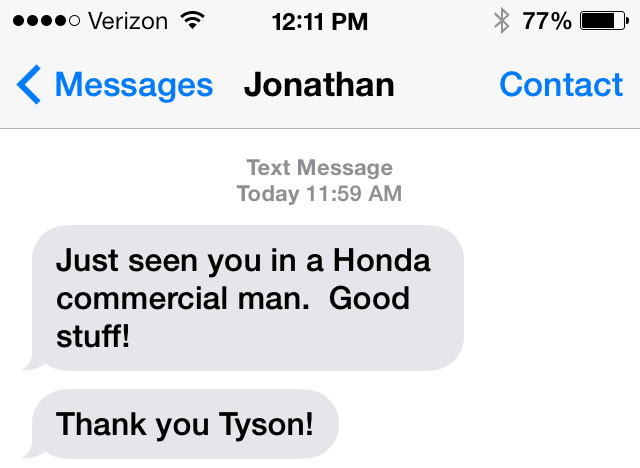 I’d recently upgraded my 1986 Chevy Celebrity to a fancy sports coupe, my Phoenix Red 1989 Honda Prelude 2.0 Si. 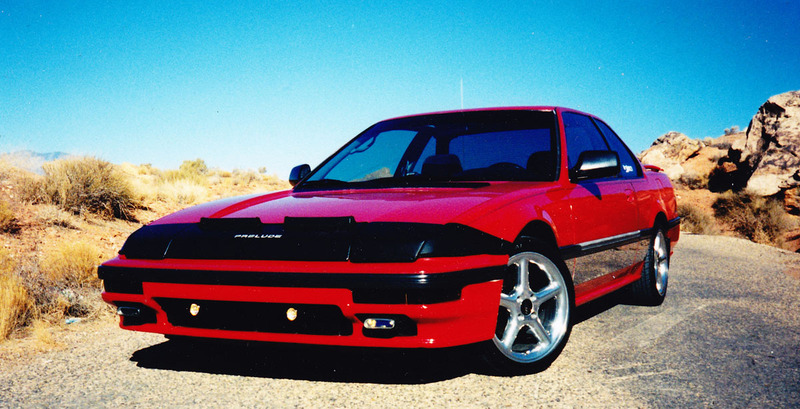 I’ve already blogged about my Prelude ownership history a number of times (1) (2), having gone through nearly a half-dozen of them. This one, though, was special. I took pride and joy customizing it the way that any high schooler would: Big rims, rockin’ stereo, and custom red LED accent lights underneath the dashboard. It’s a good thing my tastes have matured a little. So, on a sunny Saturday I headed out to get a few pictures of my Prelude on a remote road toward the old airport on the south end of town. In January 2000 when these pictures were taken, I’d just turned 18 years old a few weeks prior. 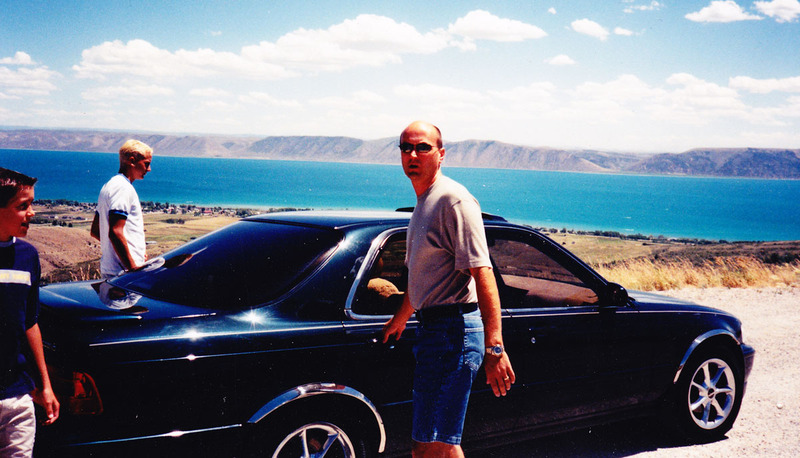 My Prelude was already on its second set of custom wheels, some 16″ 5-spoke Enkeis that I got from my brother Bentley. 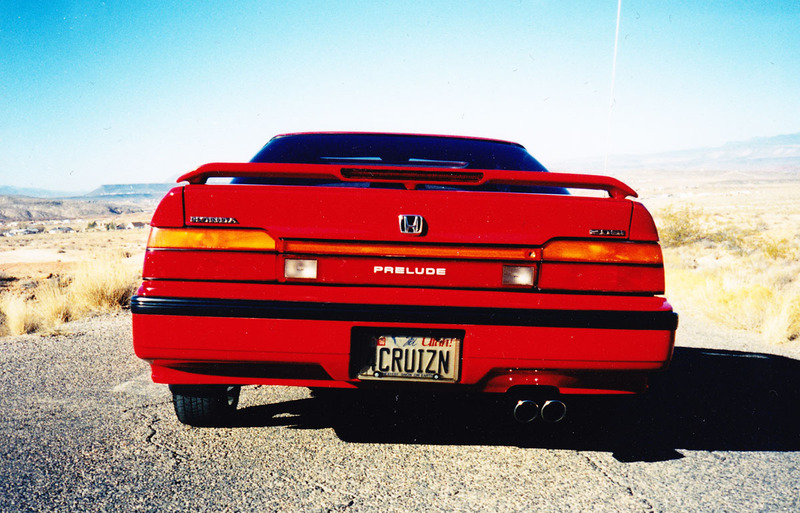 And that license plate – 4CRUIZN – became my signature nameplate for years to come. 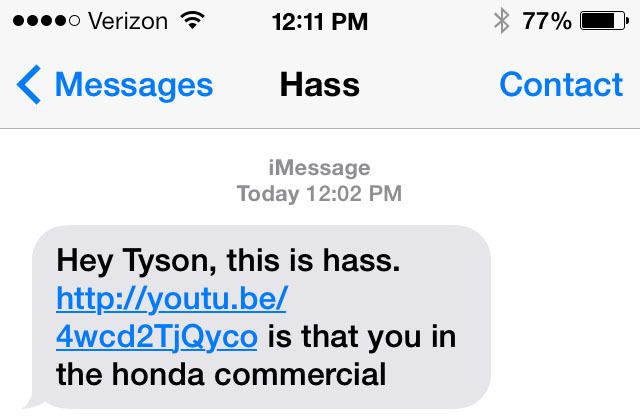 Even today, my posts on many car forums and even my YouTube account are searchable by that name. OEM Half-Bra, and one – two – three – yes, four foglights. Hey, I was 18. Don’t judge. That sticker on the rear window said “Injen.” It’s a company that made performance air intake systems. Except, my Prelude was equipped with no such product. For some reason I just felt inclined to advertise for them. I think the rear 3/4 shot was perhaps the most flattering for this car. 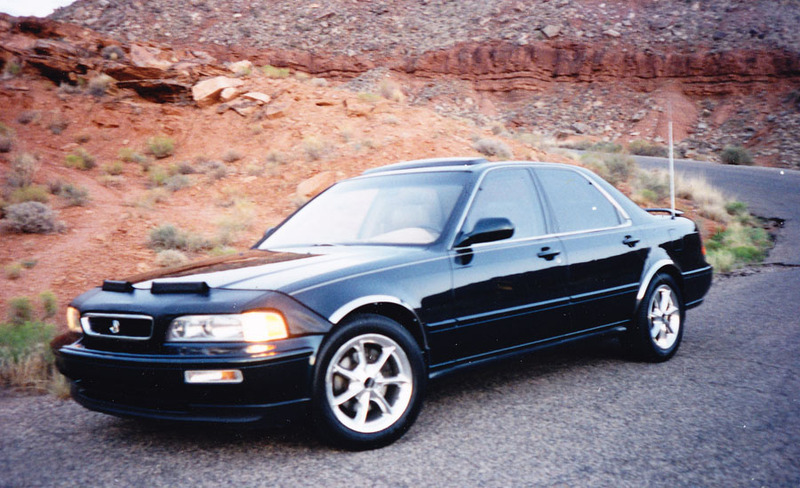 Though, I do miss pop-up headlights. In all honesty, I think those 3rd generation Preludes are just as fun to drive as my current Acura NSX. And even back then, I was racking up a few miles and taking note when big milestones happened, like this 150,000 rollover shot. Not even 6 months later, I’d upgraded to even bigger wheels and this awful Wings West spoiler. 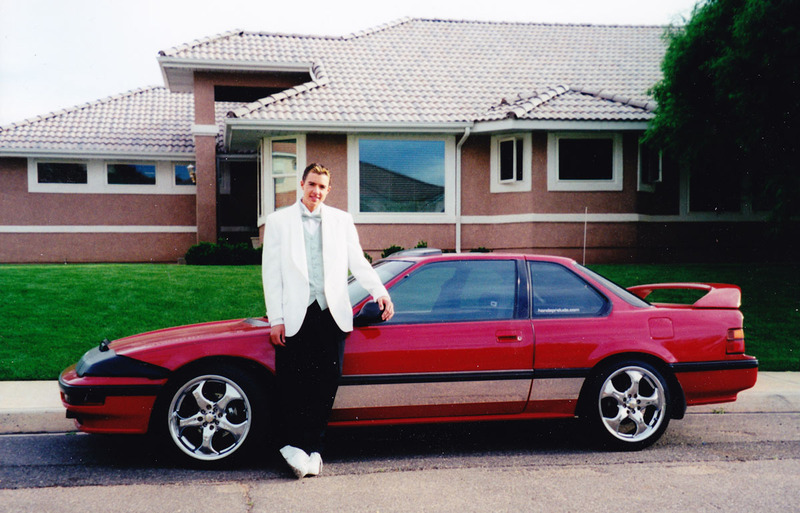 Let’s not even get started on the white tuxedo, skater shoes, and frosted hair tips. I’ve shared this before, but it’s been about a year ago. 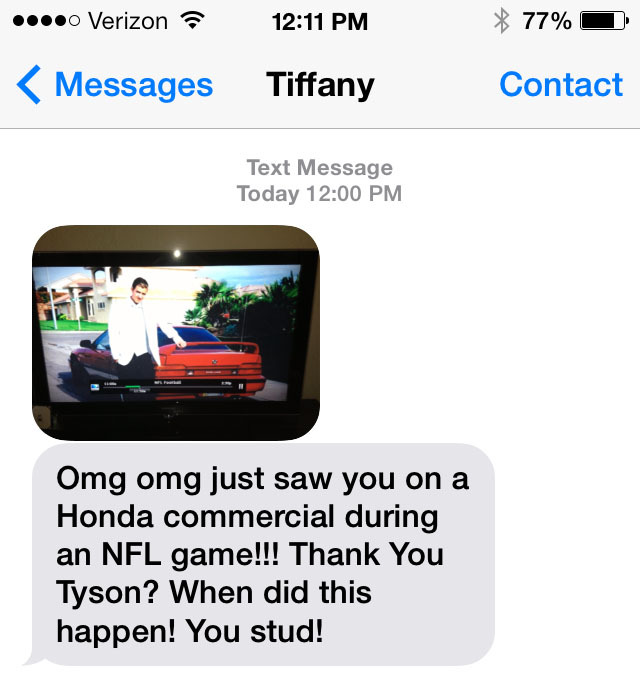 Honda loved my Prelude / tux pictures so much that they used one of them in a national TV commercial. 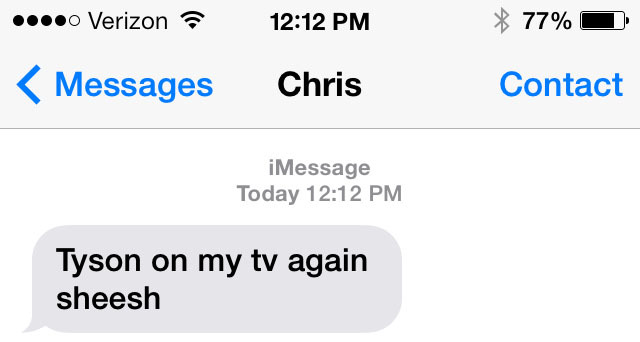 My phone blew up for a few weeks while it was airing. I loved it. 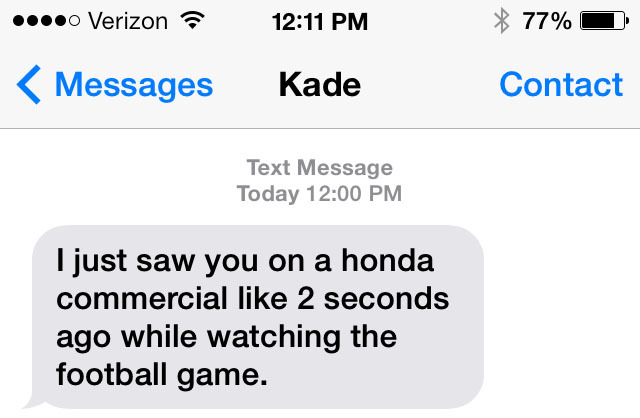 Haha, my friends are the best. And little did I know that little red Honda would be seen by so many people, so many years later. 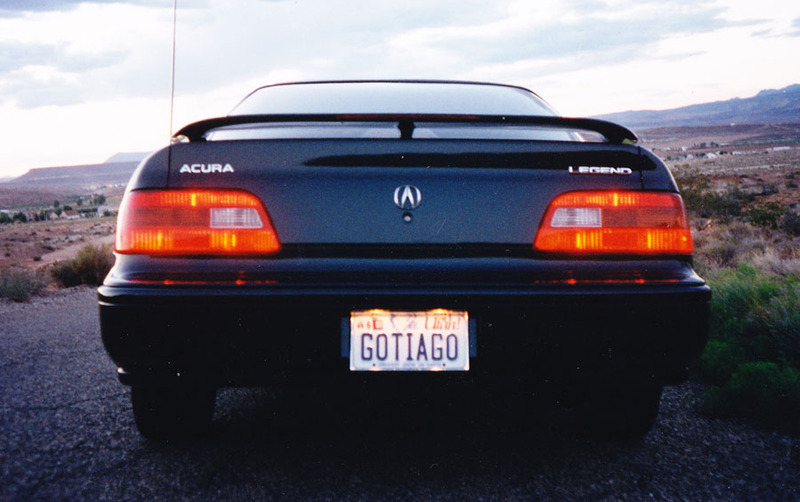 Meanwhile, as long as we’re back in Y2K, look at what my mom was driving at the time. 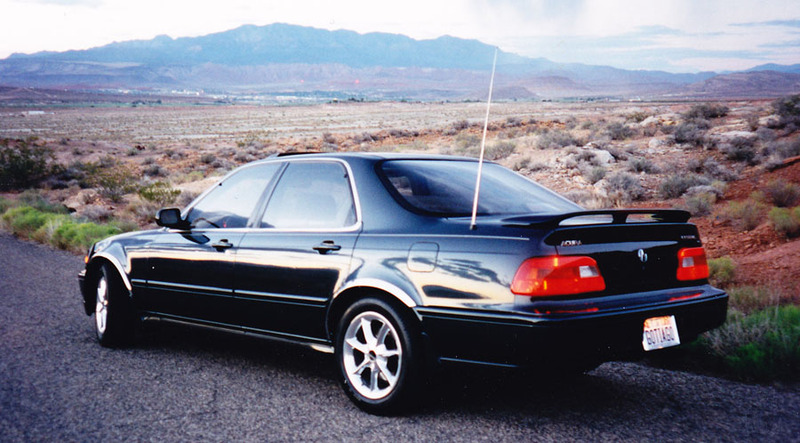 This was her 1993 Acura Legend L sedan, which I’ve also blogged about before. Those were 16″ “Optima” polished aluminum 7-spokers, and let’s not forget to take note of the chrome fender accent pieces. Family road trip to Bear Lake, at the Utah/Idaho state line, later that same year. Hard to believe that 15 years have come and gone! Thanks for coming along for my time travels as always. Coming Attractions: This just showed up at my house for a week. I’m planning on getting it dirty. This entry was posted on March 12, 2015 at 5:59 am and is filed under Prelude, Throwback. You can follow any responses to this entry through the RSS 2.0 feed. You can leave a response, or trackback from your own site. I’ll give you $20 if you have the same highlights put in your hair again, to honor Throwback Thursday of course. Don’t tempt me! I’m headed to Great Clips after work today for a haircut – I might just ask for a few highlights here and there! Gotta love that Prelude! And I can’t judge you for the number of fog lights you had on it, mainly because I would probably do the same. My Civic had an OEM half-bra on it for the longest time and I really wish I knew where it was. 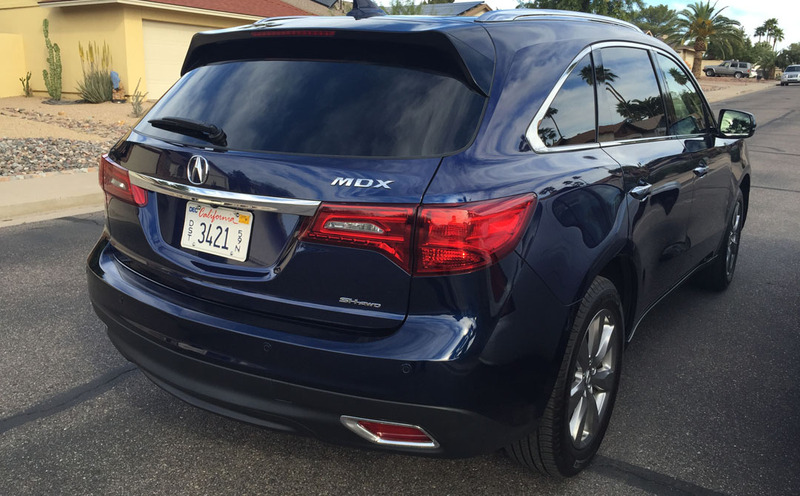 And are you planning on taking the MDX off-road? Haha, yes half-bras were the coolest. Tomorrow I have a 150 mile drive route planned for the MDX, and yes it will be going off road! I love all the early Preludes. You should have kept your Gen 1! HA you’re practically a celebrity! Hardly!! But I enjoyed my .25 seconds of fame! I would definitely strap in and drive the wheels off those older preludes! I remember when the mini truck craze was to grab the prelude seats for all the show trucks. Those seats were amazing. To this day, whenever I go junkyarding, I notice that the 3G Prelude seats have held up, even when the outsides of the cars are trashed. Super comfy too. I’ll throw in another $20.00 for the frosted tips!! Haha, I think if I bleach my hair at this age it’s just going to fall out.